Welcome to the home page of the Felicity-Franklin School District Counseling Department. 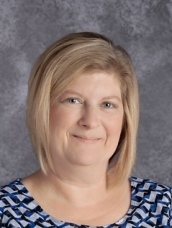 Kristin Baird has served Felicity-Franklin Local Schools for 21 years, and has worked 19 years as the counselor. Kristin graduated from Felicity-Franklin High School and always wanted to return to be a part of the great things our students accomplish. She earned a bachelor’s degree from Northern Kentucky University (Social Studies), a master’s degree from Xavier University (Agency and Community Counseling) and a post master’s year at Wright State University (clinical counseling). In collaboration with students, families, teachers, staff, and the community, her role as a school counselor is to support and facilitate the academic, career, and social/emotional development of all students. Feel free to contact Kristin by phone, email, or in-person with any questions or concerns. The Counseling Administrative Assistant is Susan Jennings. 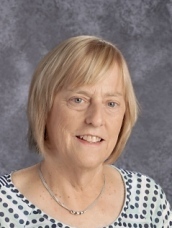 She has been an employee of Felicity-Franklin Local Schools for 38 years. She graduated from Bethel-Tate High School and earned an associate degree from the University of Cincinnati. She has spent her adult life as a Cardinal. Her children graduated from Felicity and she still continues to support our Cardinals in every way. Feel free to contact Susan by phone, email or in-person with any questions or concerns.